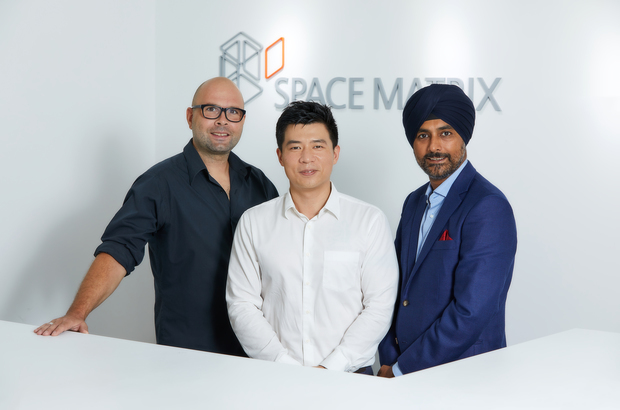 Space Matrix, the Singapore-based workplace design and build consultancy, announced today its expansion into China through the successful acquisition of Interior design and construction company, Muraya. This strategic acquisition is part of Space Matrix’s vision to expand its footprints across Asia. With its entry into China, the firm affirmed a stronger foothold in North Asia reinforcing its Pan-Asian footprint amidst the eight countries Space Matrix has offices in. With this acquisition, the firm has significantly enhanced its ability to service and manage projects from Australia, to across India, Southeast Asia and now China. “When we started dialogue with the team at Muraya, it was clear to us that they shared similar core values, and had a culture of execution excellence and client servicing that Space Matrix prides itself on. This was critical for us in choosing the right partner – we want to ensure that our global clients get the same quality of service that they expect of us in all our key markets,” Arsh Chaudhry added. With this acquisition, Muraya will be rebranded to form Space Matrix China. Globally, Space Matrix will now have a total headcount of over 400 employees across 14 offices. Revenues are on track to grow over 40 per cent and will hit S$165 million this year. “We plan to double our revenue in the next four years and will also separately continue to look at M&A opportunities across the globe,” Arsh Chaudhry shared. Last year alone, the firm designed over 6.9 million square feet of commercial real estate on behalf of its global clients. In Singapore, the firm has been working with leading global and local firms, with the objective of creating unique and immersive workspaces that inspire people and impact businesses. Some of the more prominent projects in Singapore designed by Space Matrix recently are IBM, Li & Fung, Prudential Insurance, ServiceNow, Symantec, Thebridge by Ascendas-Singbridge and Uber. IE Singapore (now Enterprise Singapore) has assisted 37,000 companies in 2016 according to their Annual Report 2016-2017. In the same year, more than 450 global projects have been facilitated with about 75 of them being related to new market entries as well as new lines of businesses. These projects raked in a total overseas sale of S$9.4 billion in 2016. “Growing globally for a Singaporean firm such as Space Matrix is a natural progress and the support and encouragement from IE Singapore through its Global Company Partnership programme was tremendous. From the start of embarking on this journey, we not only had constant support, but also received sound advice and assistance as we continually grew our footprint to where we are today,” Arsh Chaudhry further added. Muraya currently has 45 employees on board and has completed over 500 projects across China. Some of the firm’s notable clients include companies such as Abbott, Alibaba, Kimberly-Clark, SAP and Volvo Group. “We realised that we needed a strong global partner to continue giving our clients outstanding workspace solutions. Together we can share experiences and research globally to continually outperform our competitors,” added Love Englund, founder and APAC Director of Muraya.